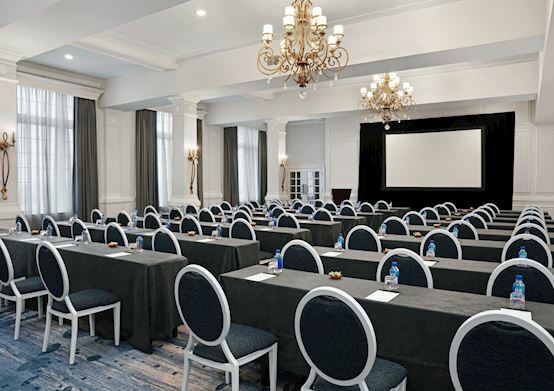 Infuse your next business meeting or event with the legendary history of one of the Gulf Coast's most iconic destinations. For nearly a century, The Don CeSar has welcomed guests with gracious hospitality and elegant amenities. Its striking pink façade is just the start. 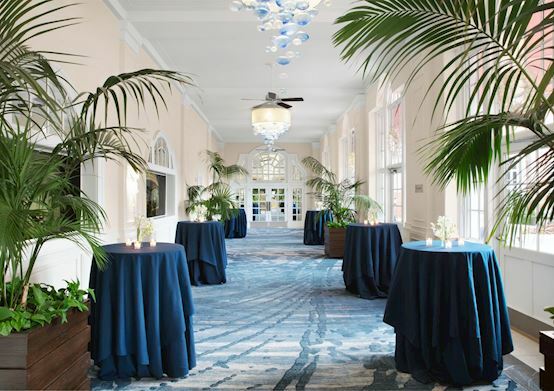 Treat your guests to magnificent indoor spaces like the Grand Ballroom & Foyer with large aquariums and stunning Gulf views. Retreat to the elegantly appointed Executive Boardroom Suites for privacy. Celebrate in our tropical gardens or barefoot on the sugar-sand beach. Spacious venues welcome 250+ guests. The only limit to your event is your own imagination. A magnificent tribute to elegance and history. Enjoy tastefully elegant décor in this stunning and flexible 5,671 square foot venue. 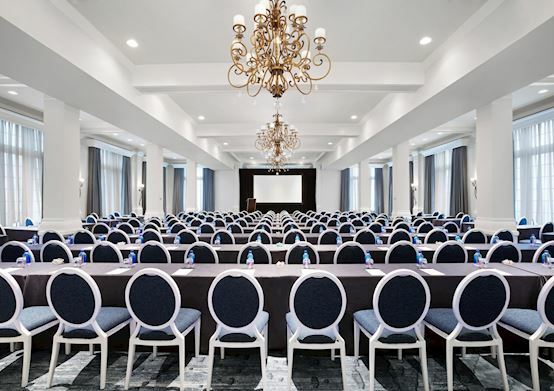 The ideal setting for meetings by day and entertaining by night, it pairs perfectly with the adjacent Grand Ballroom Foyer & Veranda for unforgettable events. Stunning Gulf views abound in this elegant indoor/outdoor space. Welcome guests in the spacious 1,650 square foot Foyer, lined with aquariums and offering stunning Gulf views. The adjacent Veranda offers a 1,080 square foot outdoor area, perfect for networking or breaks. The ideal mix of privacy, flexibility and convenience. Take advantage of the flexible convenience of three boardroom-style rooms, ideal for small meetings and office space. Choose all three or take your pick from 405, 455 or 510 square feet of venue space with private restrooms and foyer space. 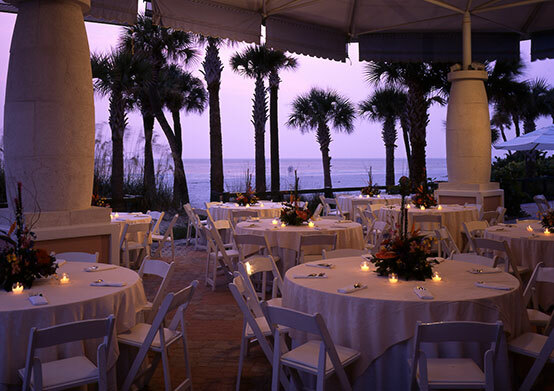 A spacious and versatile event space with stunning Gulf views. 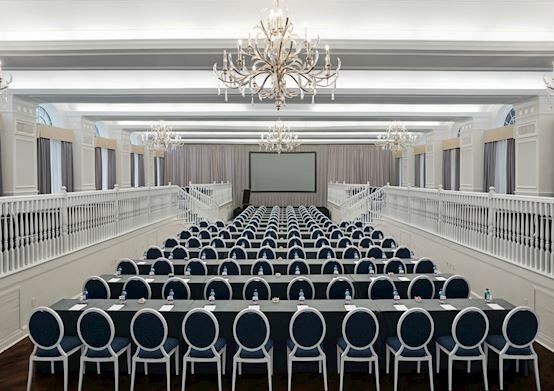 This 3,450-square-foot versatile event space is the largest room on our dedicated conference floor. 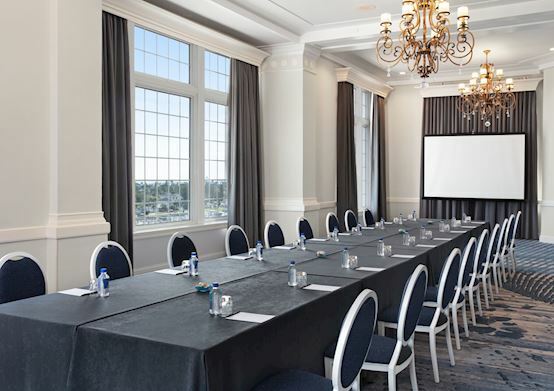 Floor-to-ceiling windows capture the picturesque Gulf of Mexico, yet can be blacked out for a/v presentations. The perfect indoor & outdoor venue space with beach views. 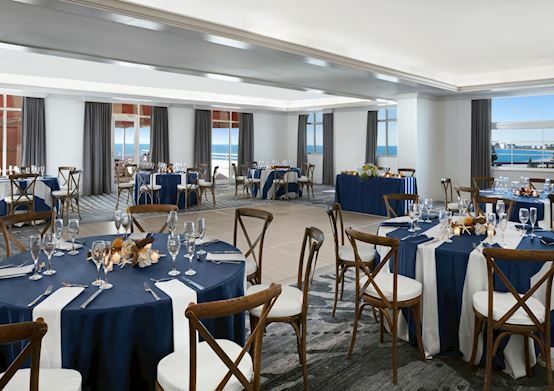 With 2,500 square feet of indoor space complemented by a 2,652-square-foot, partially shaded veranda overlooking the beach, this is the ideal space for meetings or dinner events. Enjoy indoor & outdoor spaces with stunning beach views. 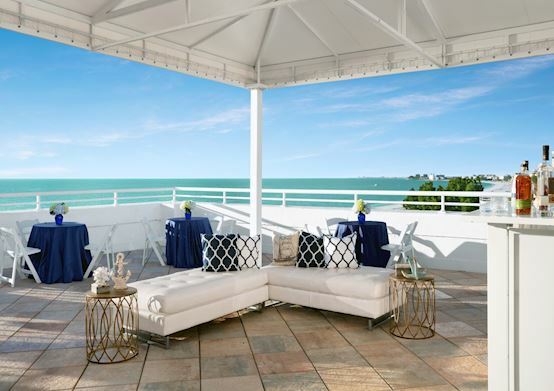 A mirror image of the South Terrace, North Terrace offers 2,500 square feet of indoor space complemented by a 2,652-square-foot partially shaded veranda overlooking the beach. Ideal for meetings or meal events. Floor-to-ceiling windows deliver stunning Boca Ciega Bay views. Enjoy unparalleled views of Boca Ciega Bay through dramatic floor-to-ceiling windows in this luxurious 2,120 square foot indoor venue. This is the ideal location for unforgettable meetings and banquet-style meals. An intimate space with stunning Boca Ciega Bay views. 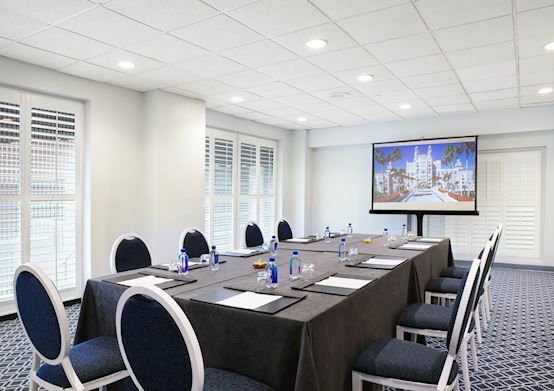 Savor the privacy of our most intimate meeting room on the Conference Floor. This delightful 1,500 square foot venue offers lovely views of Boca Ciega Bay, and is ideal for small gatherings or business meetings. A trio of small venues conveniently located on guestroom floors. 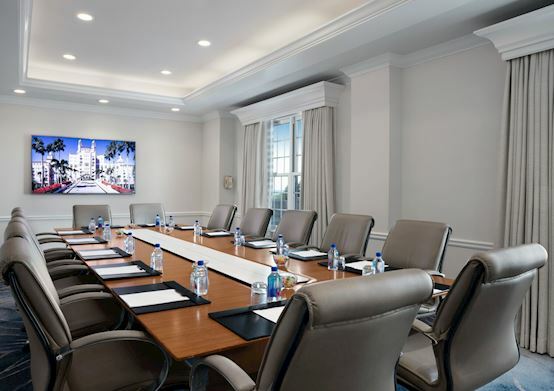 When your event calls for private meeting spaces, The Parker, The Harold and The Frances deliver. These versatile 323-square-foot rooms, located on guestroom floors, are ideal for break-out meetings and workrooms. An expansive venue just steps from the white sand beach. Enjoy refreshing sea breezes from the 1,550 square foot pavillion that accommodates up to 250 guests. This flexible outdoor, covered space offers a formal or casual style, with stunning views just steps away from the sand. A tropical garden with unforgettable views. 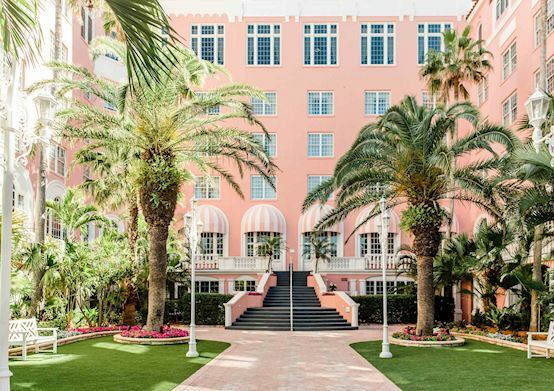 With the Pink Palace as the backdrop, groups can enjoy a tropical garden setting and The Don's signature staircase that overlooks the azure waters of the Gulf of Mexico. The Courtyard accommodates up to 150 guests for a cocktail party. Kick off your shoes and enjoy a true beach experience. 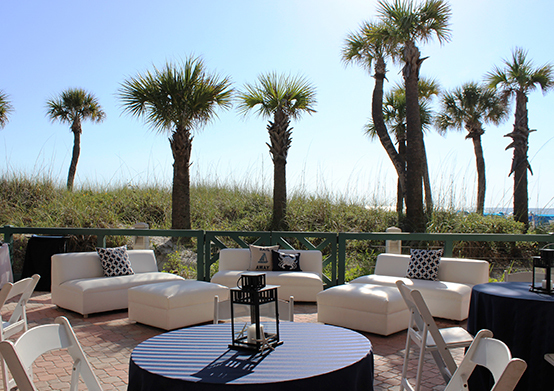 With sand underfoot, gulf breezes and gorgeous sunsets, the North Beach is ideal for evening events or daytime team-building. Enjoy the flexibility for everything from beach Olympic games to an elegant tented dinner. Cheers!